Hi, y'all! 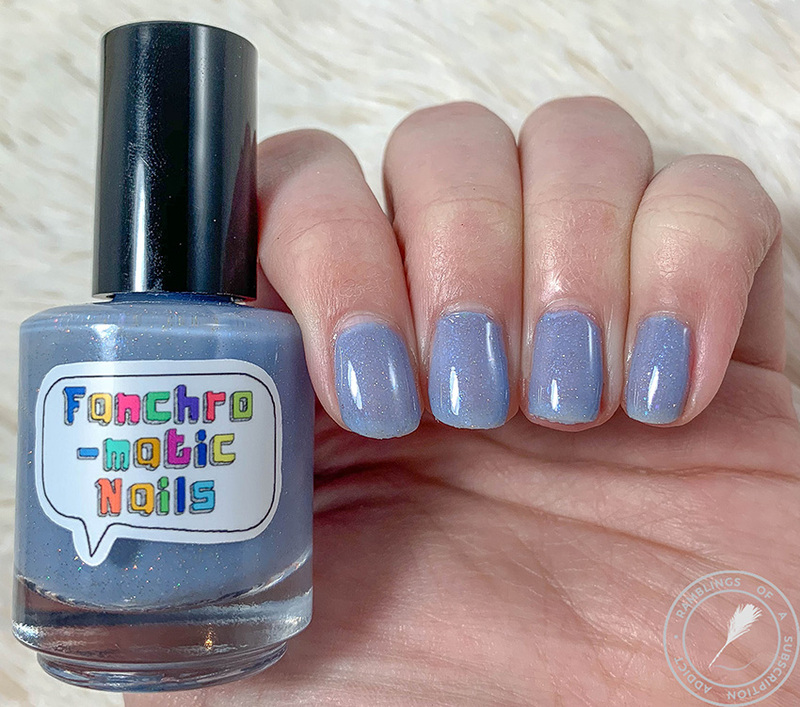 If you remember from my Polish Pickup November 2018 post, I reviewed a Fanchromatic Nails polish then! 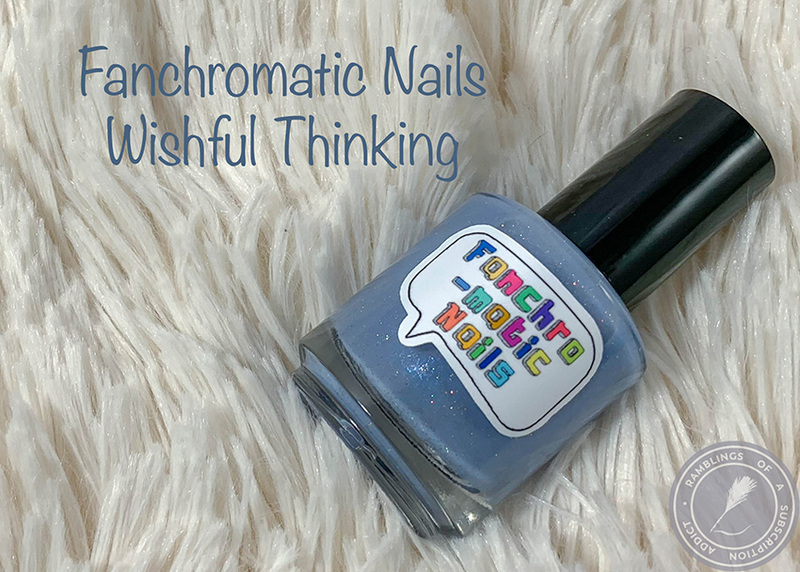 When the chance to review another of her polishes came up, I jumped at it. 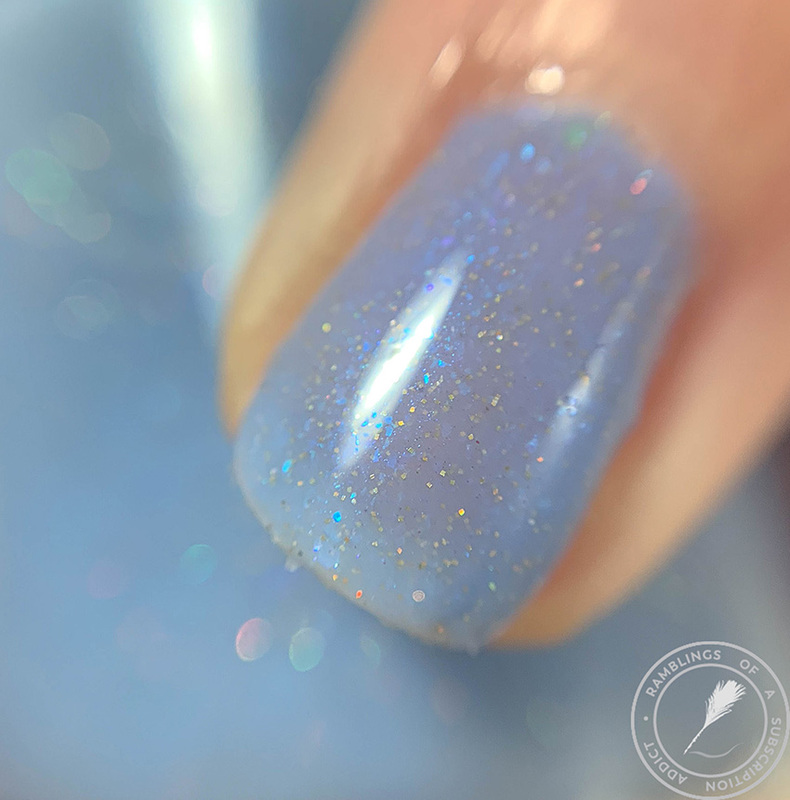 This is the group custom for the Blurple-Winkle Polish Lovers Group, which is a favorite of mine because I love blurples so much! 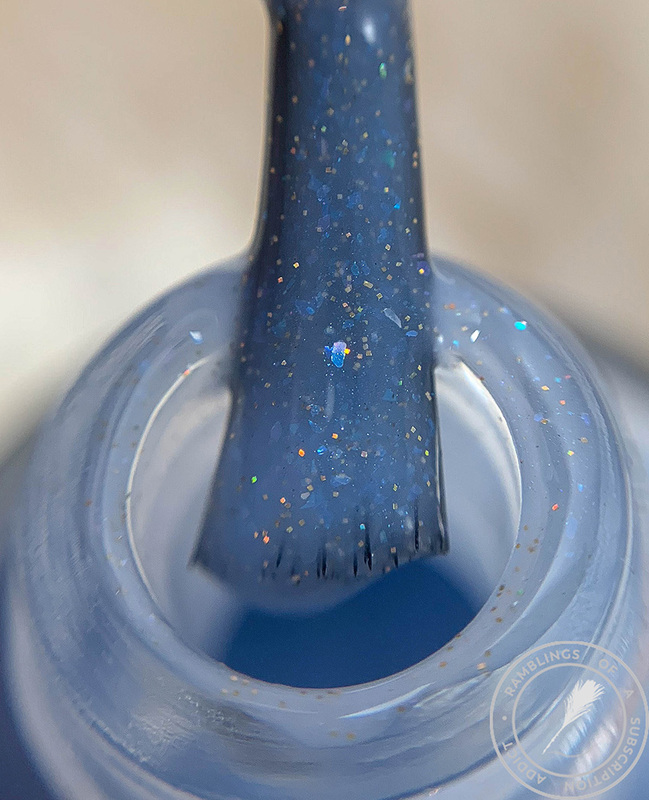 Wishful Thinking is a crelly finish in a light shade of periwinkle, with a scattering of different tiny iridescent and holo glitters, and larger iridescent blue flakes. 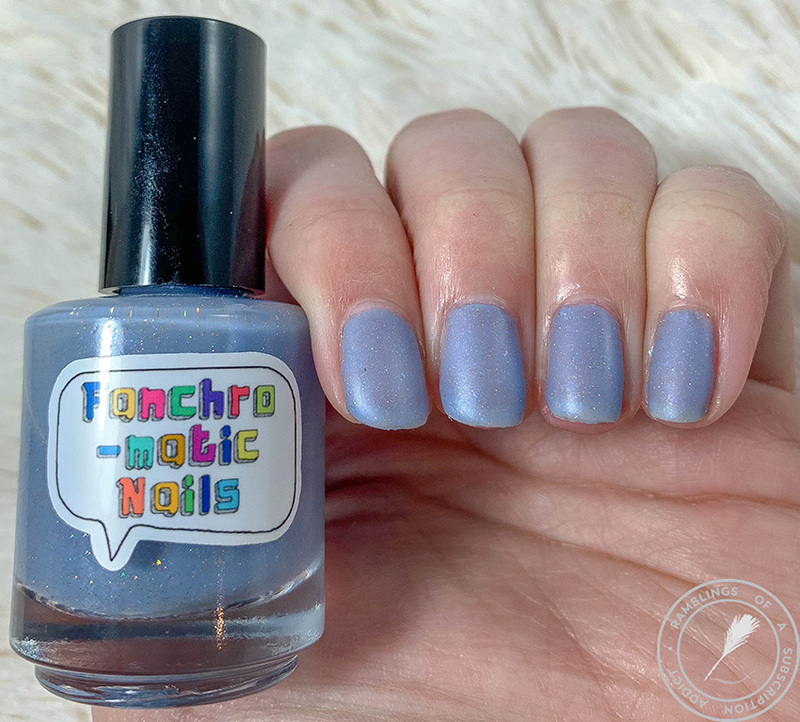 This is such a unique take on a blurple, I'm so used to seeing darker shades that this was a nice change of pace! I used three coats and it's not quite opaque. It dry down smooth and without any issue, though! I really love this polish matte. I definitely think the flakies look better but the tradeoff is that the holographic bits are toned down.